I’m recording more and more of these lately. The problem isn’t actually the recording — that bit is easy — the problem is the editing and uploading. That one takes me a bit… I’ve got a lead on a few possible interns here in the Queenstown area to help me out… once I get that bit, I can release even more! When does a pond become a lake? Maybe this is a pond. Or maybe a pond is a subset of a lake. I do not know for sure. I could look it up, but I find it more fun to speculate about it. 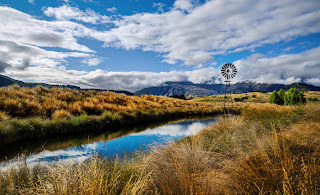 Anyhoo, this serene scene is just another on the back nine of The Hills country club in Arrowtown. If you’re into golf, then this place is a must-visit! Or, if you’re just into photography, then it’s also a must-visit!